Fortunately for me, my youth pastor emphasized Bible memorization back in my youth group days. I accepted the challenge and memorized hundreds of verses in high school, mostly on my drive to and from school each morning. I can’t tell you how impactful that was during high school, college, and young adulthood. God would bring those scriptures to my mind right when I needed them, and I was able to bring them up in conversations when applicable. 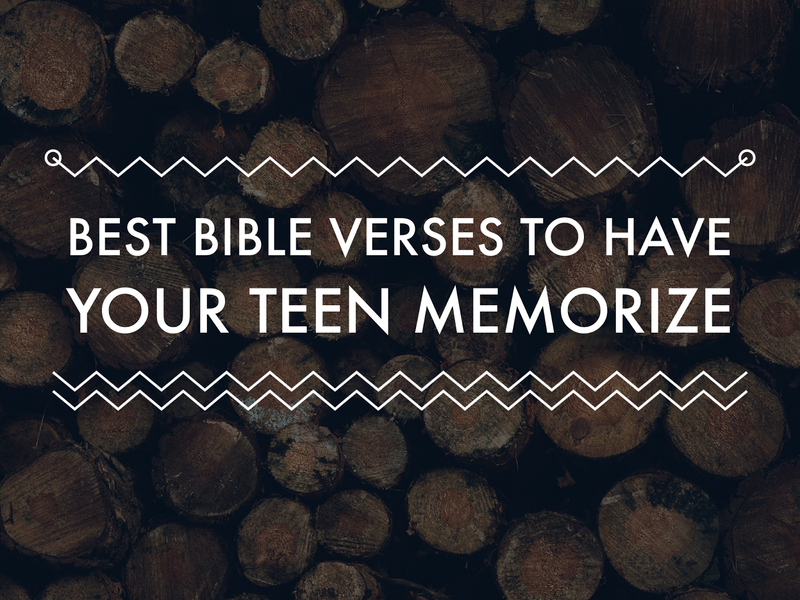 If you have teens in the home, I highly encourage you to memorize the Bible with them. Adolescence comes with pressure, uncertainty, worry, temptations, and identity crisis. Filling a youth’s mind with God’s word will go a long ways. Here is a list to get you started. Ephesians 4:29 (NIV) Do not let any unwholesome talk come out of your mouths, but only what is helpful for building others up according to their needs, that it may benefit those who listen. Proverbs 3:5–6 (NIV) Trust in the LORD with all your heart and lean not on your own understanding; in all your ways submit to him, and he will make your paths straight. 1 Timothy 4:12 (NIV) Don’t let anyone look down on you because you are young, but set an example for the believers in speech, in conduct, in love, in faith and in purity. Colossians 3:23 (NIV) Whatever you do, work at it with all your heart, as working for the Lord, not for human masters. James 4:7 (NIV) Submit yourselves, then, to God. Resist the devil, and he will flee from you. Philippians 4:6–7 (NIV) Do not be anxious about anything, but in every situation, by prayer and petition, with thanksgiving, present your requests to God. And the peace of God, which transcends all understanding, will guard your hearts and your minds in Christ Jesus. 1 Thessalonians 4:3–5 (NIV) It is God’s will that you should be sanctified: that you should avoid sexual immorality; that each of you should learn to control your own body in a way that is holy and honorable, not in passionate lust like the pagans, who do not know God. Philippians 4:8 (NIV) Finally, brothers and sisters, whatever is true, whatever is noble, whatever is right, whatever is pure, whatever is lovely, whatever is admirable—if anything is excellent or praiseworthy—think about such things. Isaiah 41:10 (NIV) So do not fear, for I am with you; do not be dismayed, for I am your God. I will strengthen you and help you; I will uphold you with my righteous right hand. Ephesians 2:8–9 (NIV) For it is by grace you have been saved, through faith—and this is not from yourselves, it is the gift of God—not by works, so that no one can boast. 2 Corinthians 5:17 (ESV) Therefore, if anyone is in Christ, he is a new creation. The old has passed away; behold, the new has come. Romans 12:1–2 (NIV) Therefore, I urge you, brothers and sisters, in view of God’s mercy, to offer your bodies as a living sacrifice, holy and pleasing to God—this is your true and proper worship. Do not conform to the pattern of this world, but be transformed by the renewing of your mind. Then you will be able to test and approve what God’s will is—his good, pleasing and perfect will. 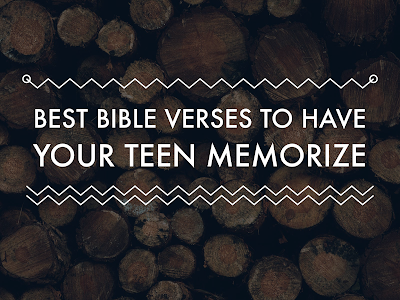 What verses will you start with? What would you add to this list?